OH YEAH! 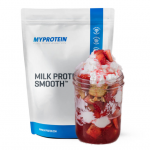 Weird combo of promotion results in the lowest price ever for the MYPROTEIN Milk Protein Smooth* (23g Protein) – 8.8LB for $32. 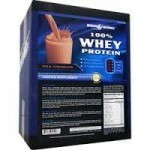 Available in 2 flavors at this price (Vanilla & Strawberry). Add to cart and apply coupon ‘EDGE40‘ during checkout.